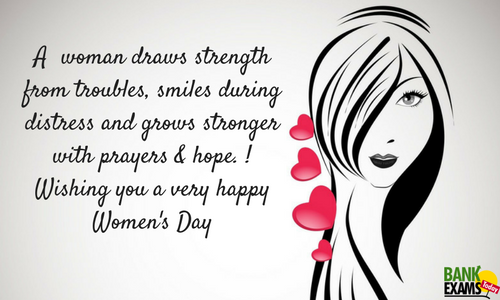 Team Bank Exams Today wishes all the women around the world a very "Happy International Women's Day"
You are the representative of courage, fearlessness, joy and love. You make our lives and this world a beautiful place to live in. You are the creator of a new life. You play the roles of a mother, a sister, educator, mentor and an entrepreneur. You are the true power and we salute you!!!!!!! !